Homeowners in search of a contractor who installs replacement doors in the Fort Walton Beach, Florida, area can put their trust in Majors Home Improvement. We are an A+ rated company with the Better Business Bureau, and we also hold a five-star rating with GuildQuality. Our Majors Select™ Replacement Doors feature a polyurethane core that offers exceptional energy efficiency, and they resemble the look of gorgeous woodgrain textures, such as oak or mahogany. 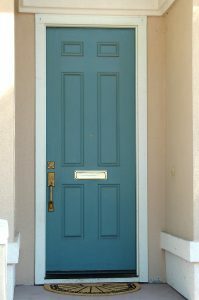 So, one of our doors can boost the curb appeal of your home while also improving the comfort inside of it. We’re committed to delivering Red Carpet service, which includes providing consistent emails and phone calls to keep you informed on the progression of your project. We have been in business since 1997 and have served hundreds of happy customers during that time. We provide a complimentary consultation during which our design consultants will guide you through the process of selecting a door for your home and also supply you with an honest estimate. Our installers are factory trained and highly experienced, and they will install your new replacement door with precision. In addition, if adjustments are needed while installing your door, they can quickly assess the issue and take care of it. Our replacement doors are customizable for your home and your personal taste. You’ll be able to choose from a wide selection of doorlites and hardware. What’s more, many of our styles meet wind and missile impact code requirements, so they are a durable choice as well. If you’d like to learn more about our replacement doors, contact Majors Home Improvement today. When you do, feel free to inquire about our financing options available for qualified homeowners in Fort Walton Beach, FL.